It’s due to hit our shores later this year and its legions of fans will be pleased to learn that the engines in the line-up remain the same. 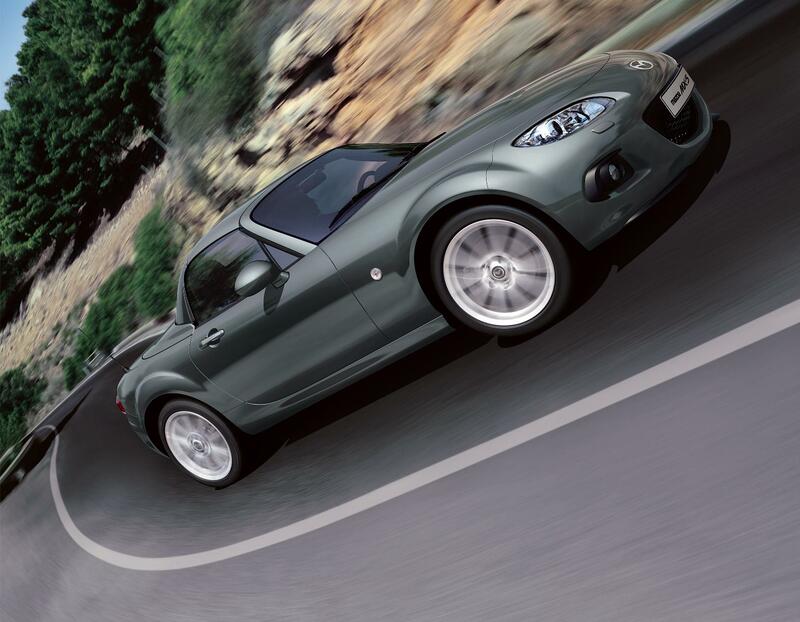 However, the Mazda MX-5 will get throttle and brake system improvements to enhance driving experience; a new front bumper design which gives a ‘fresh face’ and benefits the car’s aerodynamics and a new ‘active bonnet’ to improve pedestrian safety. The MX-5 is the world’s best-selling open-top sportscar and the new version is already rolling off the assembly line in Hiroshima, Japan. The car has always delivered one of the world’s most enjoyable drives and now Mazda say the upgraded version is now even more responsive and handles better on corners; it also automatically raises the trailing edge of the bonnet if a pedestrian impact is detected. This action provides immediate space under the bonnet to absorb impact energy and soften the blow. The new front bumper design also enhances pedestrian leg protection. No prices have been announced but the MX-5 will be on sale for around £16,000. This entry was posted in News and Views and tagged caption, car, Driving Experience, Japan, LS, mazda, mazda MX-5, mx-5, pedestrian safety, price, Sport by Steve Lumley. Bookmark the permalink.